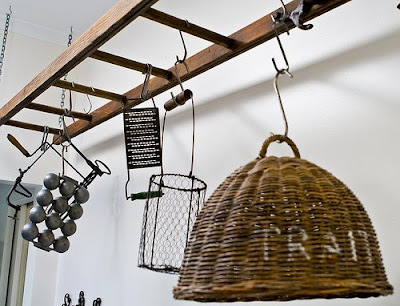 If you have been looking for interesting and clever ways to reuse an old ladder, we are sure you will like these "Cool and Creative Ways To Reuse Ladders". 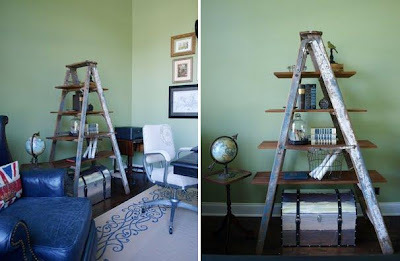 Ladder Display: Fix a ladder on the wall above the couch to create a cool display. Ladder Bookshelf: It's a clever book storage solution; create a bookshelf using old ladders. Ladder Organizer: Addition of simple planks to the row of steps extends to form longer shelves and gives it a complete makeover. 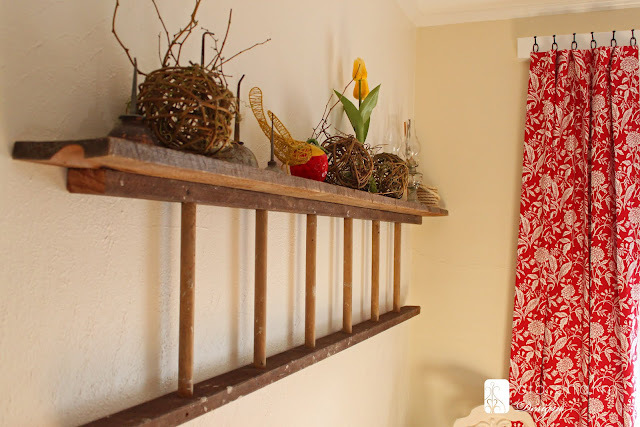 Ladder Racks: Turn old ladders into racks. 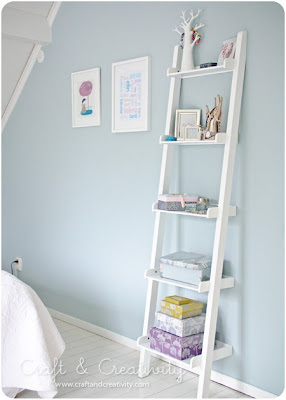 Ladder Shelf: Here a wooden painter's ladder is attached to the wall to create a cool shelf. Ladder Plant Stand: Turn a step ladder into a cool plant stand. 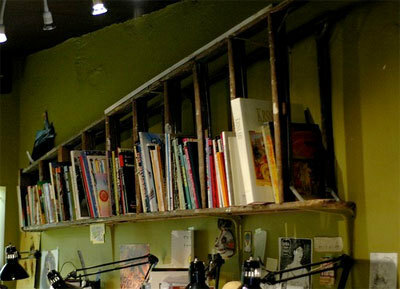 Ladder Gallery: How about turning an old ladder into a classy art gallery? Ladder Lanterns Holder: How about using a ladder to hold lanterns to create a perfect evening setting in the backyard or patio? 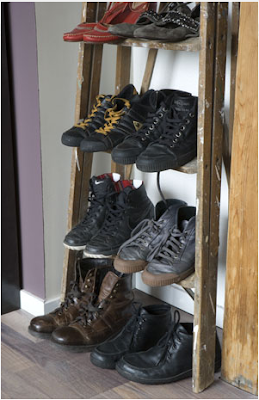 Ladder Shoe Storage: Create a unique shoe storage solution using a vintage ladder. 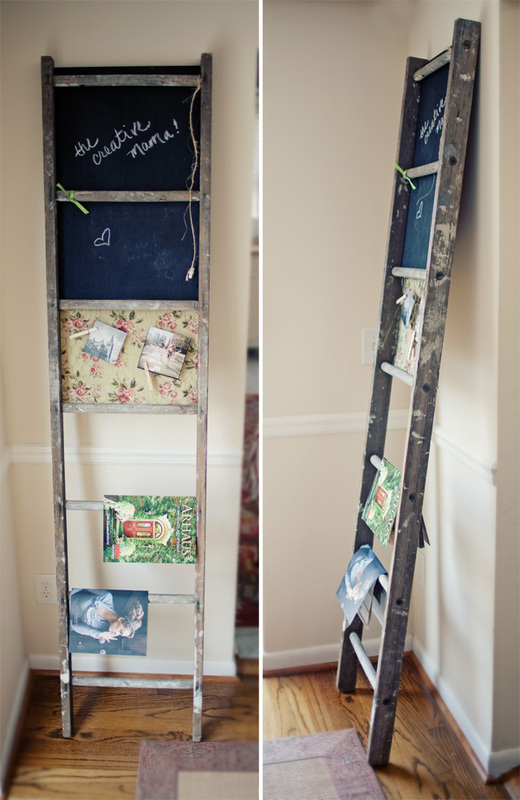 Ladder Notice Board and Magazine Holder: To make this you need an old ladder, chalkboard, some wire, a few clothespins and fabric. 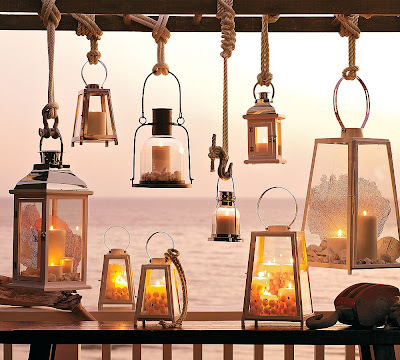 It's a notice board, a photo holder, magazine holder and more. Ladder Shelf: All you need is an old ladder and some boards to make this cool shelf. 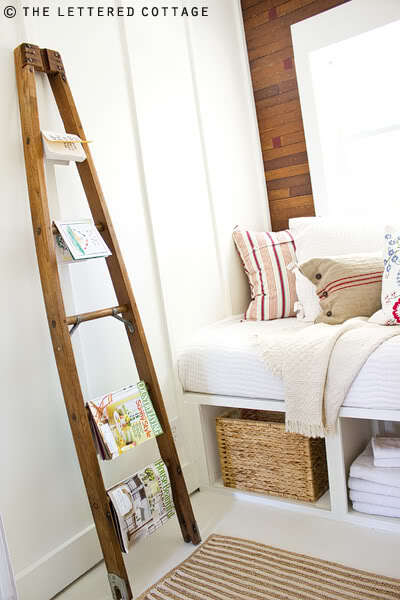 Ladder Storage: Ladder in a bathroom can make those extra towels accessible.